Waking a machine up through a LAN connection can be very useful to turn on a computer if the power button is a pain to get to; say if you have a computer under your desk. It is also handy if you want to turn on a group of computers. There are a number of Magic Packet senders that will wake a computer up over a LAN connection, but these are usually stand alone programs that need to be opened up and have data entered into them before they work. I wanted a more customizable solution. Mc-wol is a command line utility that enables you to wake up a machine on your local area network. Being a command line utility, it is easy to utilize in a shortcut on your desktop, place into a batch file, or use it in a scheduled task. Wake on LAN software only works on computers which are in standby or hibernate modes. Mc-wol is free and available from Matcode.com. You will also find a bunch of useful information on the page about simple settings you will need to check before WOL will work. Have you ever wanted to control your computer with a game controller? It could be convenient to use a game controller from the couch to control Windows Media Center or move through PowerPoint slides. 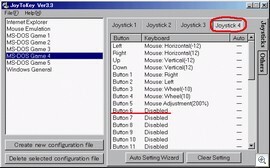 JoytoKey is a small program that allows you to setup the movement controls and buttons of a game controller, into emulated keystrokes and mouse movements. You can setup different profiles for different programs and games, as well as separate configurations for different controllers. You can even configure a button on the controller represent a key combination. This program is useful in the case where games don’t offer any game controller support, or where some newer games don’t offer support for older controllers, especially where drivers haven’t been updated over the years. JoytoKey allows you to split the axis controls into two separate buttons. For example; if you have a first person shooter game that does not currently support a game controller, you can setup a profile for your controller to work with the game. Each button will represent a key from from your keyboard. Once all the buttons are configured, you have effectively added game controller support for your game. 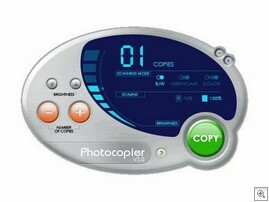 Read more and download your free copy from electracode. If you would like to control your mouse cursor only with your controller, check out this article for a simple alternative.